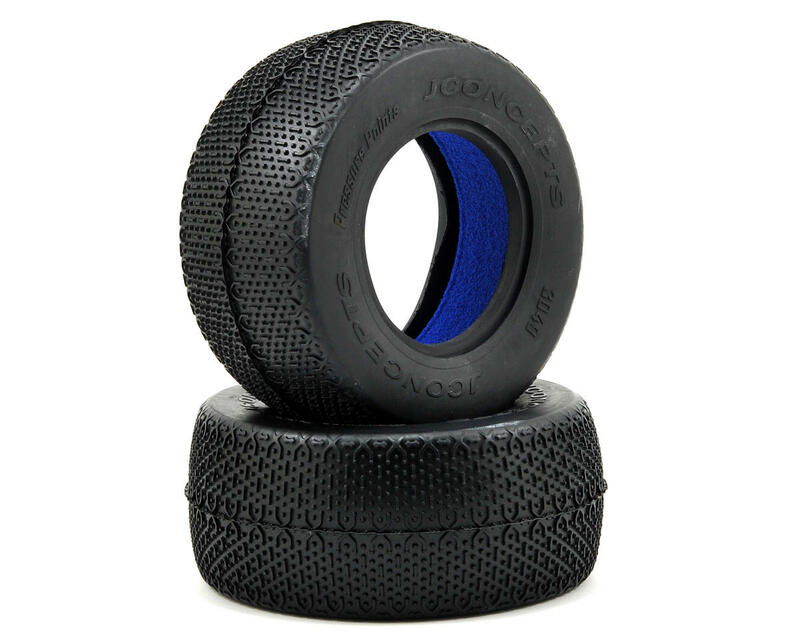 This is a set of two JConcepts Pressure Points Short Course Tires. Pressure Points are the latest low-height tread option specifically designed to tame high-speed courses with either wet or blue groove traction conditions. The design starts as an angular, low pin design as a carryover from the successful Bar Codes front tire line-up. The small “points” combined with “lower case” Y elements developed on the original Bar Codes V1 rear tire provide the ultimate in surface area “pressure” penetration and tack. The inner side-wall has built-in ribbing which limits carcass collapse and increases support on the outside during hard cornering and driving. The new inner ribbing, combined with the included JConcepts Profiled closed cell insert, is a perfect match to provide the ultimate in support, traction and consistency. Just like all JConcepts tires, the Pressure Points are a proven winner. JConcepts driver Ryan Maifield won the 2011 Reedy Truck Race of Champions in the 4x4 class utilizing the Pressure Points in green compound. 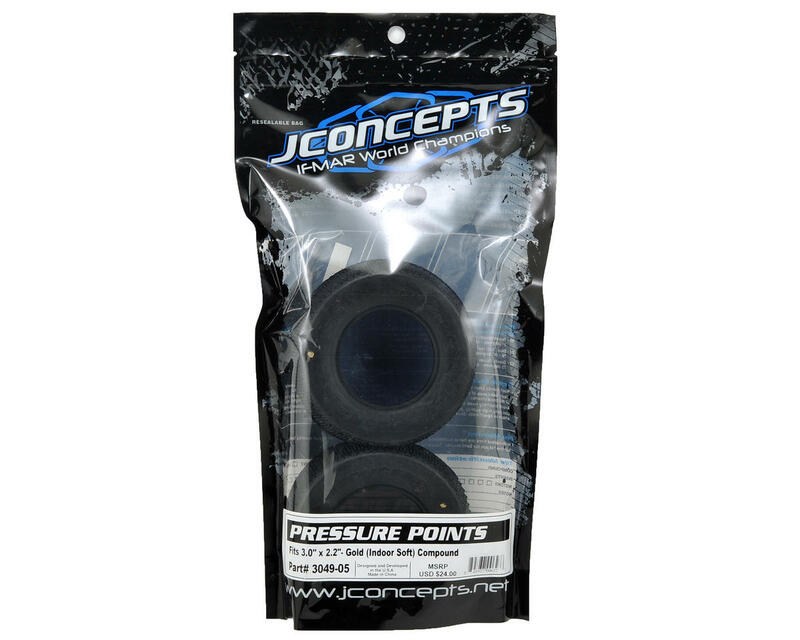 Go for the vitals with JConcepts, attack with Pressure Points. Orange (Soft): Intended for Black/Blue Groove conditions. Excels on Dry, High Temperature Tracks. Blue (Soft): Recommended for all conditions.